TJ Hughes: The sweet smell of a new fragrance anyone? The sweet smell of a new fragrance anyone? 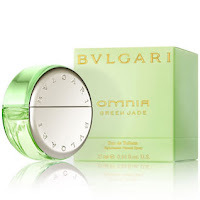 We all love buying fragrances, whether that be for ourselves or a gift for a friend or loved one. There are just so many to choose from how do you know which one is right? All those fancy bottles and the imagery of sultry, scantily clad models to try and tempt us into making a purchase leaves us a little confused!! So if you are thinking of investing in a new signature scent for yourself or trying to find the perfect gift, we hope this short guide will help you make the right choice. Top Notes: These are the scents that are smelled immediately after the fragrance makes contact with the skin, these develop quickly to give an initial impression. Top notes are often citrus so are fresh and uplifting. Heart Notes: This is the main body of a fragrance and is the longest lasting layer, usually around 2-3 hours (depending upon the type of fragrance). This usually comprises fruity, floral or spicy notes. Base Notes: These are the final scents of the fragrance and usually support the heart notes with warming scents like woods and musk and are often sensual and seductive. What is the difference between EDT and EDP? This is a question most people want to know the answer but are too scared to ask. The difference between the two is the percentage of oil they contain, scents with a higher percentage last longer. Eau De Parfum (that's EDP to you and me!) has between 8% and 15% concentration of perfume oil and on average lasts 5-6 hours. Eau De Toilette (EDT) is the most common fragrance type and in ladies fragrances contains between 4% and 8% concentration of perfume oil, usually lasting 3-5 hours. Men's EDT's have between 5% and 10% concentration and last between 3 and 6 hours. We have recently extended our fragrance range and are constantly adding to it, so if we don't currently have your favourite available check back often as it may be on it's way!! 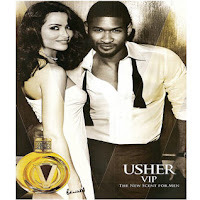 We have a great range of ladies fragrances, men's fragrances and a wide variety of celebrity fragrances.